This functionalist villa with its white-rendered brickwork and reinforced concrete floor slabs is illustrative of the use of balconies and terraces in 'white villa' architecture. At the rear are two less-tall storeys with a roof terrace; an added parapet serves to scale this part to the main block. The terrace is reached from a balcony on the south side. 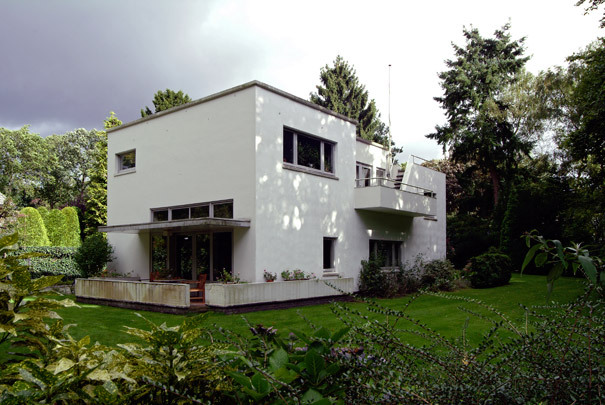 See also private house Doyer and private house Liebert in Hilversum.